Craig Forrest and James Sharman examine how Harry Kane’s injury layoff will impact Tottenham. The battle between Liverpool and Manchester City over what is shaping up to be the best Premier League title race continued this past weekend, with neither side looking as though they are bound to let up. City went to Selhurst Park and carved out a 3-1 win over Crystal Palace on Sunday, only to see Liverpool retake the lead atop the table following a 2-0 win against Chelsea at Anfield. Liverpool has a two-point advantage over Manchester City, who have a game in hand on the league leaders – although, that game is what promises to be a tension-filled Manchester derby on April 24 at Old Trafford. Liverpool’s remaining games are against Cardiff City, Huddersfield Town, Newcastle United and Wolverhampton Wanderers. City’s run-in is more difficult, and includes games vs. Tottenham and Manchester United. But the way both of these teams are playing at the moment, it’s difficult to imagine either side dropping points, much losing a game. This title race will go down to the wire, and could be decided by the slightest of margins. The tiniest error could cost either team the crown, but you have to think that if City can get a win at Old Trafford that the title will be theirs to lose. Time for Chelsea to cut ties with Hazard? Craig Forrest and James Sharman discuss the possibility of Eden Hazard moving on from Chelsea and how the club should approach it. Live stream weekly matchups from around the Premier League with Sportsnet NOW. Get access to the Premier League, FA Cup, Bundesliga, Scottish Premiership and more. There can only be one choice: Mohamed Salah’s screamer vs. Chelsea. Burnley’s Ashley Barnes and Cardiff City’s Joe Bennett got into a kissing quarrel on Saturday. It wasn’t at all competitive, but it’s not often you see a road team put up five goals. Bournemouth’s destruction of Brighton & Hove Albion was something to see. Just spare a quick thought for the Chelsea fans who spent thousands of pounds to travel to the Czech Republic, racially abused Salah, were refused entry to the game, returned home & then watched the Egyptian bang one in against their side from 30 yards. “It will go down to the wire. I don’t see us slowing down now. Liverpool have a great squad, great self-belief, but so do we.” – Manchester City’s Raheem Sterling on the title race between the Citizens and Liverpool. 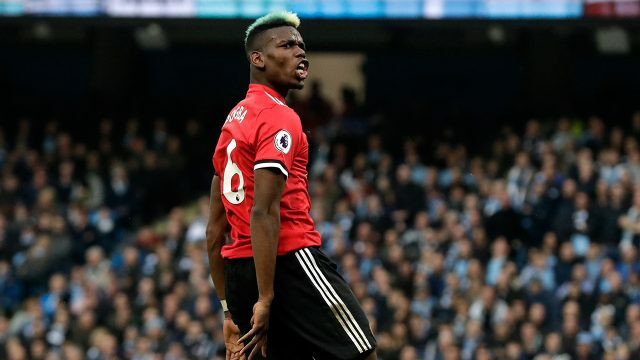 Craig Forrest and James Sharman take a look at Paul Pogba penalty shot technique, noting his stutter-step approach, and what has been giving him success. • Tottenham’s Lucas Moura is the fourth Brazilian player to score a Premier League hat trick, after Afonso Alves, Robinho and Roberto Firmino. • Shane Long has scored in back-to-back Premier League games for the first time since May 2016. • Ryan Fraser and Callum Wilson have combined for 11 Premier League goals for Bournemouth this season, the most by a duo since Alan Shearer and Mike Newell in 1995-96 (also 11 goals). • Only Ruud van Nistelrooy (eight in 2002-03) has scored more penalties in a single Premier League campaign for Manchester United than Paul Pogba (seven) this season. • Kevin De Bruyne assisted on a Premier League goal on Sunday for the first time since May 2018. • Salah’s goal on Sunday was his first from outside the box in the Premier League since January 2018 (vs. Manchester City). 1) Lucas Moura, Tottenham: The Brazilian became the first player to record a hat trick at Spurs’ brand new stadium. 2) Callum Wilson and Ryan Fraser, Bournemouth: Both had a goal and a pair of assists in the Cherries’ destruction of Brighton. 3) Raheem Sterling, Manchester City: Bagged a brace to help City to an important win over pesky Crystal Palace.